While the rest of my friends slept in one warm June morning, I, on the other hand, was boarding a 6 AM flight to Savannah, Georgia. I wasn’t going on summer vacation; I was going to school. Nonetheless, I was excited for the learning experiences and opportunities ahead of me. Last winter, I stumbled upon information on Savannah College of Art and Design (SCAD) and the summer program they offer for interested high school juniors. 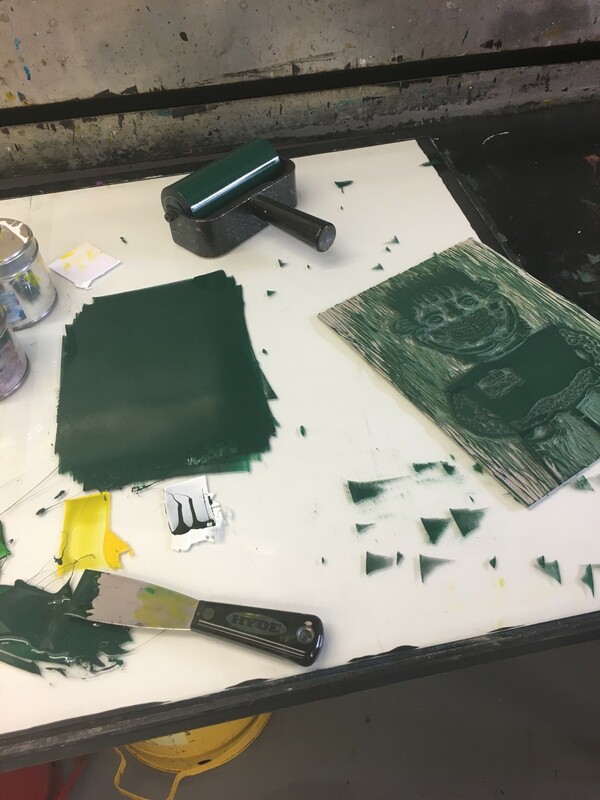 Their intensive program includes the opportunity to take two college-level art courses and earn college credits at a reduced price, along with many other opportunities for aspiring art students. It isn’t all fun and games. Students take these classes in half the time a usual student would. Participants spend nearly a month and a half away from home, friends, and family. Travel and program expenses add up. It’s a serious commitment. But, if you have the passion, talent, and interest, it’s definitely worth considering. The application process is straightforward. Interested students first apply on SCAD’s website with basic information and interests. From that point, applicants will receive emails of further steps to be taken, like submitting transcripts and a portfolio. Transcripts are necessary for acceptance into the program, and they also automatically put you in the running for a merit-based scholarship that can help cover the program’s overall cost. Submitting a portfolio of artwork is not essential when it comes to being accepted, but doing so will ensure the opportunity to receive a talent-based scholarship. The application process is less demanding than that of college, but it is helpful to get students used to the college application process down the road. It familiarizes you with deadlines, creating a portfolio, and being conscious about grades. Once you are accepted, you choose one A.M. class and one P.M. class. Classes range from equestrian studies to 3D design to painting. There is quite a range of available courses to fit anyone’s talents and passions. Some classes may require prior credits or a specialized portfolio, but once students are accepted into their classes all that’s left is scheduling travel time and looking forward to an enjoyable, rewarding summer. 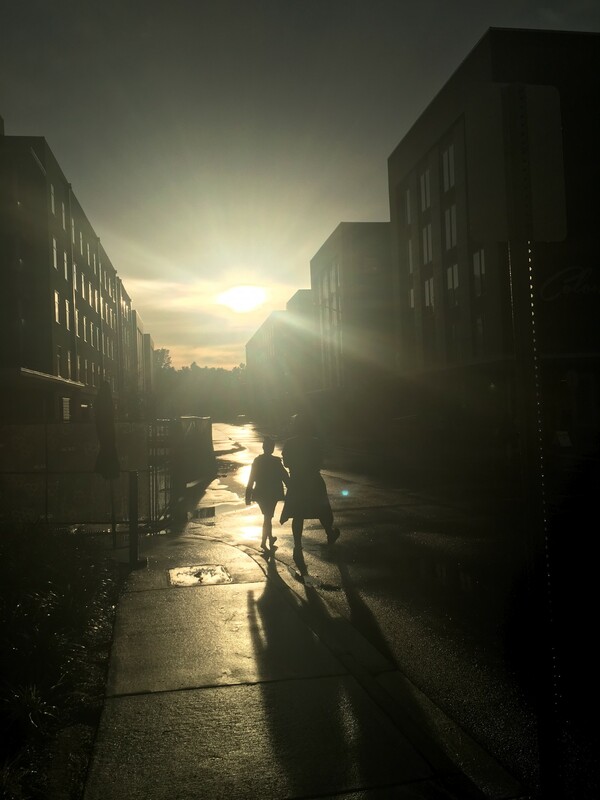 Being on your own in an unknown town with kids from around the world can seem like an intimidating experience, especially if it’s your first time away from home by yourself. However, going out of your comfort zone like this is the perfect time to experience what it’s truly like being on your own for college without the commitment of being away from home for months at a time. It’s on you to get to class, manage homework, get enough sleep, earn good grades, etc. You learn how to navigate the city and bus route. While it’s fun and freeing, it can also be a wakeup call to start managing time better. Also, this experience is definitely insightful on how far from home you’d prefer to be for college. Overall, the experience of having this independence is valuable and eye-opening. There are only two dorm buildings across from one another. The dining hall is a quick five-minute walk from the dorms and the bus stop is just before the front gate. This tight-knit living area results in a close community of Rising Star students. One of the most exciting parts of the program was having the chance to stay on campus with roommates like an actual college student would. You stay in a suite-style room with a bathroom, shower, and kitchenette that is shared with three other roommates. In my experience, many people in the program enjoyed this aspect of Rising Star a lot and made close friends with their roommates and neighbors. Staying in a room full of friends uninhibited by parents can feel like one long, exciting slumber party. But, over your time there it becomes more and more of a focused place to get work done and crash at the end of the night rather than a big ongoing party. The dining hall that Rising Star students have access to is quite impressive. There’s classic southern food, salad bars, an international buffet, a section just for grilled food, and more. 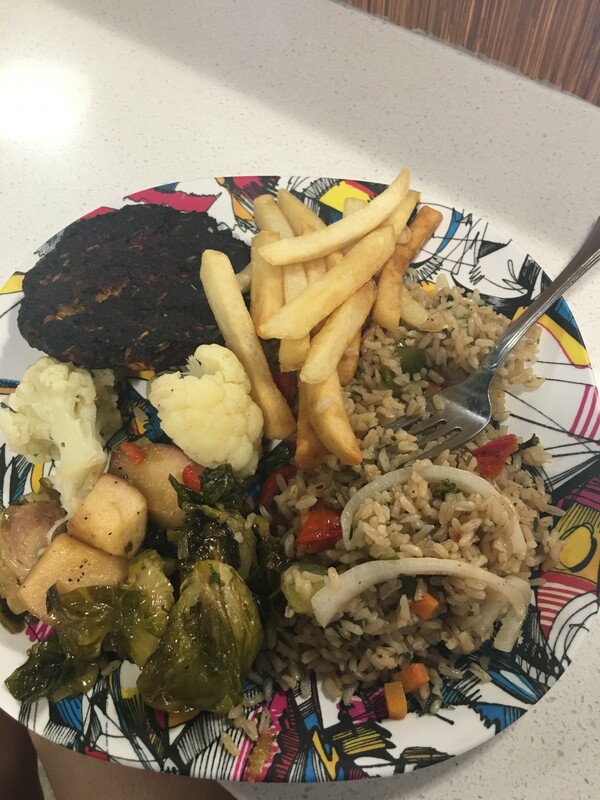 SCAD also ensures that vegan, vegetarian, farm-to-table, and gluten-free options are available for all students. As a vegan, I never ran out of options and even got to indulge in a variety of vegan desserts when I went into it assuming I would subsist off of salad. Overall, living environments and food options are great benefits to the experience and make it feel even more like a taste of college life. Classes during the Rising Star program aren’t always easy, but they are always a lot of fun. Because the classes are accelerated college courses, the workload can come as a surprise if you’re used to gliding your way through high school. Assignments that may take a couple of weeks in a high school art class could be due within a few days. Luckily, class times are 3 hours long, which allows for more demos, work time, and questions. I can definitely vouch for the fact that it’s a lot of work. In my printmaking class one day, I got to class at 12 PM to work on my assignment before class started. By the time 7 PM rolled around, a few fellow students and I were still working on completing our work. We ended up ordering a pizza to the building so we could eat dinner and still work on our printing. I didn’t leave for a couple more hours, but there will still classmates of mine that stayed even later. Although the work can be time-consuming and intense it’s definitely worth it. If the subject is something you’re passionate about time flies by. Even on the days I worked for 9 hours straight I still had a fun, productive time. One of the biggest perks of doing the program is all of the fun events that SCAD sponsors. There are weekly beach trips to Tybee Island and new, fun events every weekend. Students can take part in almost any activity they want, free of extra charge, as long as they sign up beforehand. The activities and trips are fun times to relax and explore Savannah with friends. One of my favorite experiences was going on a ghost tour of Savannah. 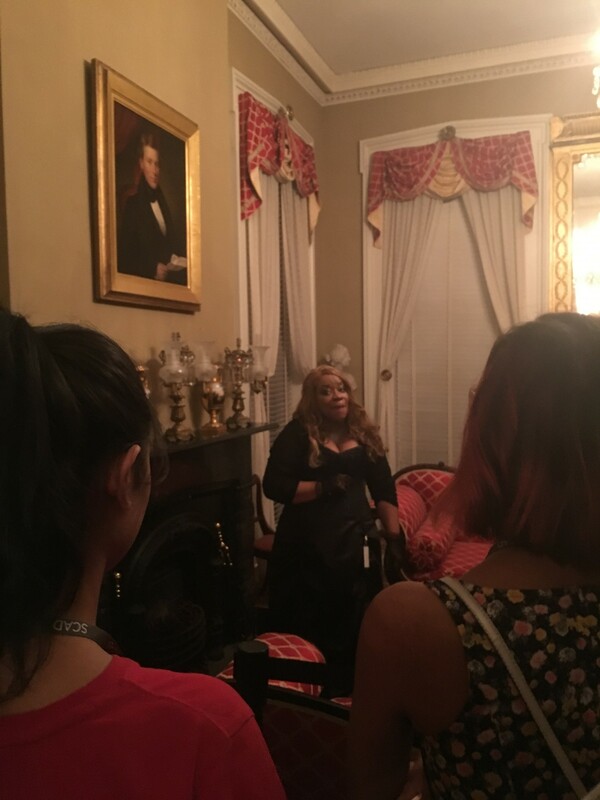 We traveled all across the city in a trolley as our host described spooky stories of the city’s haunting past, even stopping at a haunted mansion along the way. It was a fun time to take a well-earned break from work and learn more about the city’s history. Other exciting events students can experience are the kayaking, a masquerade ball, a silent disco, 4th of July fireworks, and more. The events Rising Star students get to take advantage of make the overall experience even better and allows the perfect taste of summer between the heavy workload. The benefits SCAD’s Rising Star program provides for college is a huge plus for participants. Not only can you earn college credit for two classes, you also have the opportunity to take two online courses through SCAD during your senior year for a major discount. Overall, by being a part of the program, you can take a full semester of classes for a substantial amount less than if you were enrolling your first year of college. Spending so much time focused on art and creating pieces for classes is ideal for college portfolios around the corner. You’re able to get feedback and training from actual college professors that can greatly improve your work, skill, and portfolio as a whole. When it comes time to apply to SCAD and other schools, having the artwork and knowledge from this experience goes a long way. For me, Rising Star helped me diversify my portfolio and understand more clearly what I wanted to major in. Another plus is that Rising Star students have an easier time applying to SCAD for actual college. Applicants who were a part of Rising Star only have to submit test scores and transcripts as opposed to the usual lengthy applications most colleges require. Plus, for those who earned at least a 3.5 GPA during Rising Star, acceptance into the school is virtually guaranteed. And, even if a Rising Star participant doesn’t want to attend SCAD, credits are transferable to many other colleges. 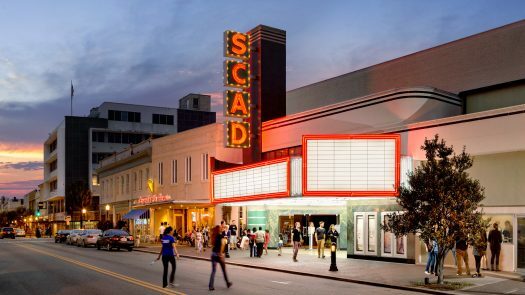 Even if SCAD isn’t the place for you, having the experience of Rising Star under your belt can definitely beef up any resume. When it comes down to it, taking part in a summer art program, whether it’s at SCAD or another art school, provides you with many insightful and useful experiences for your future as an artist in college. While it’s intimidating to be on your own and a lot of work in your classes, the benefits definitely outweigh the losses.